Hand dyed sock yarn. 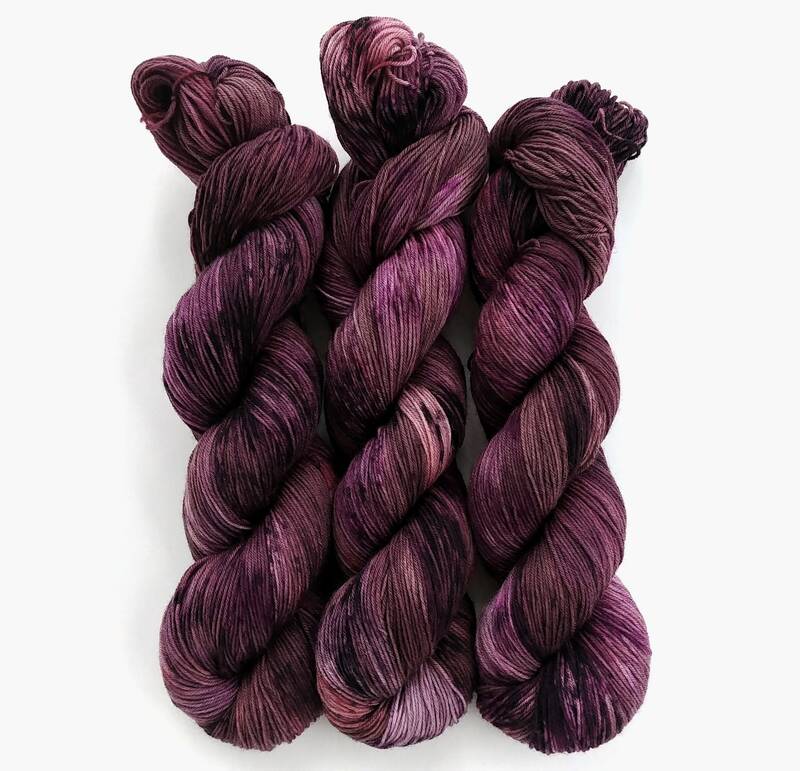 This yarn is dyed in a dark purple with brown undertones and speckles of dark purple/black, a more vibrant purple, and a few red/orange. This listing is for 1 skein of Staple Sock. This yarn is so soft. It is a very beautiful dark purple.